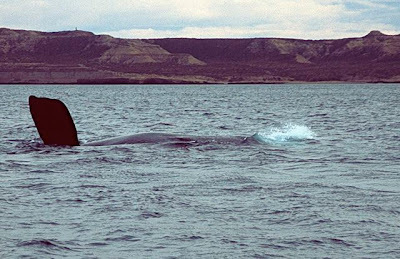 Better Than Ever: Bolivia's "Access to the Sea"
Political irrendentism has a long ignoble history in South America, and I’ve recently written about the topic in the context of Argentina’s emotional claim to the Falkland Islands. In the course of my travels, though, I’ve often come upon aspects of another equally contentious territorial issue, Bolivia’s territorial access to the Pacific, which it lost in the catastrophic Guerra del Pacífico (War of the Pacific, 1879-1883). 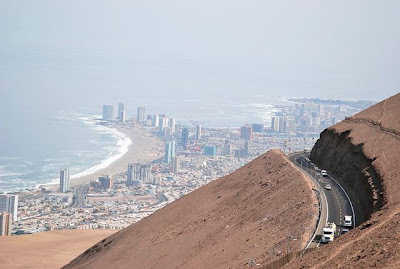 In that conflict, Chile acquired all of the present-day Antofagasta Region, which belonged to the presently landlocked La Paz government, and also gained substantial territory from Bolivia’s ally Peru. Acquisition of the area, which comprises about a quarter of modern Chile’s territory (not counting its Antarctic claims), made the country wealthy through its mineral nitrates, but the industry declined with the production of petroleum-based fertilizers after the 1920s. 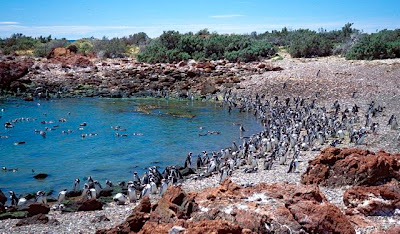 After Chile assumed control, the Bolivian settlement of Cobija (pictured above), which once had a population of 1,500, gradually deteriorated to the point where, today, it’s a cluster of crumbling adobes that’s now home to a handful of fishing families. Scenes from the 2008 James Bond flick Quantum of Solace were shot here, though it was not identified as such in the film. Soon, though, Bolivia is taking its claim to the International Court of Justice, in The Hague, in hopes of getting “access to the sea,” despite a 1904 treaty that presumably settled the issue once and for all. Bolivian President Evo Morales is every bit as adamant on the matter as his ideological ally, Argentine President Cristina Fernández de Kirchner, is on the Islands issue (which Argentina, however, has refused to submit to The Hague). What’s ironic is that, for all of Morales’s posturing, its access to the Pacific is better than at any time in the country’s history. Bolivian exports enjoy the use of two excellent paved highways from their own highlands to the Chilean coast: from La Paz to the port city of Arica (pictured above) and from Oruro to the port of Iquique (pictured below), at minimal cost. Should Bolivia manage, somehow, to obtain a territorial concession on the Pacific, the only “advantage” might be the ability to extend a naval presence that is now limited to Lago Titicaca and the rivers of its Amazonian lowlands. Potentially destabilizing to the region, that’s a far higher price than Bolivia should be willing to consider. I don’t usually promote events other than my own, but readers in the Pacific Northwest will soon have several opportunities to learn something about Patagonian natural history as Dee Boersma, professor of conservation science at the University of Washington (purely coincidentally, my undergraduate alma mater). She will present her new book, Penguins: Natural History and Conservation at several events in the area. 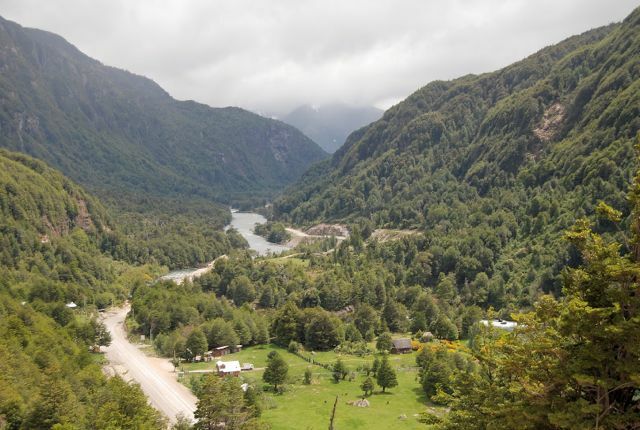 To promote the book, and the conservation issues that accompany it, Boersma and her Argentine colleague Pablo García Boroboglu will appear tonight at the REI Seattle flagship store as part of a larger conservation-oriented event. On Tuesday, May 14, they will also hold a “Penguins in Peril” event at Seattle’s Town Hall and, on Thursday, May 16, a similar talk at Bellingham’s Village Books (where I have spoken several times). I have never met Professor Boersma in person, though I am familiar with her work and have spoken with her on the phone. For penguin lovers, who are so numerous, and anyone else interested in the critical topic of maritime conservation in the new millennium, this should be a can’t-miss event, and I look forward to reading and reviewing the book some time in the near future. 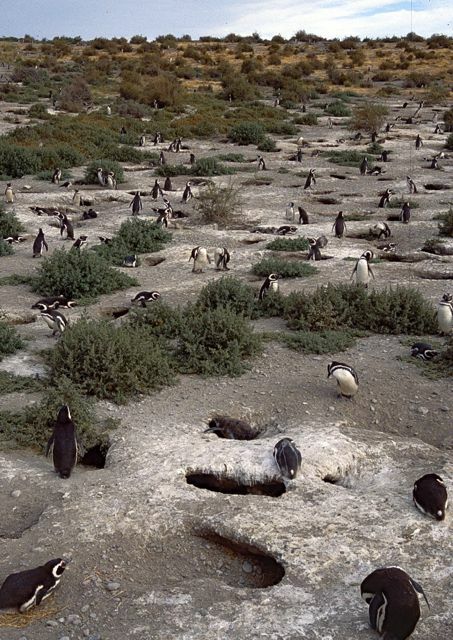 Those of you planning to see penguins in the wild, though will probably have to wait a while. At Punta Tombo, only a few stragglers remain of the 200,000 breeding pairs that burrow along the shoreline. 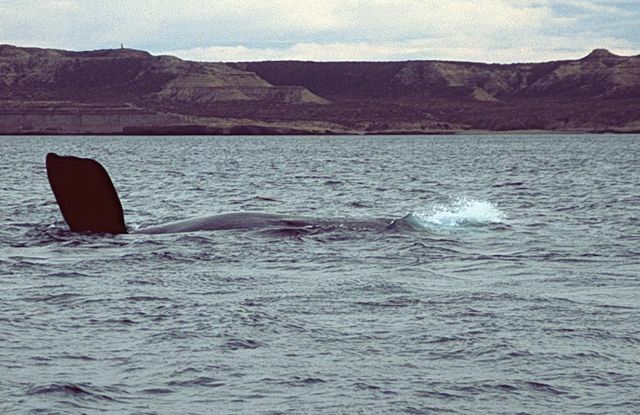 They’ll be back in the southern spring but, meanwhile, nearby Península Valdés will soon be the attraction for the arrival of southern right whales, which breed and give birth in the shallow, sheltered waters of the Golfo Nuevo. For someone whose living depends, in part, on writing about travel services, I feel oddly indifferent toward hotels – to my mind, the point of travel is not where you sleep, but what you do. 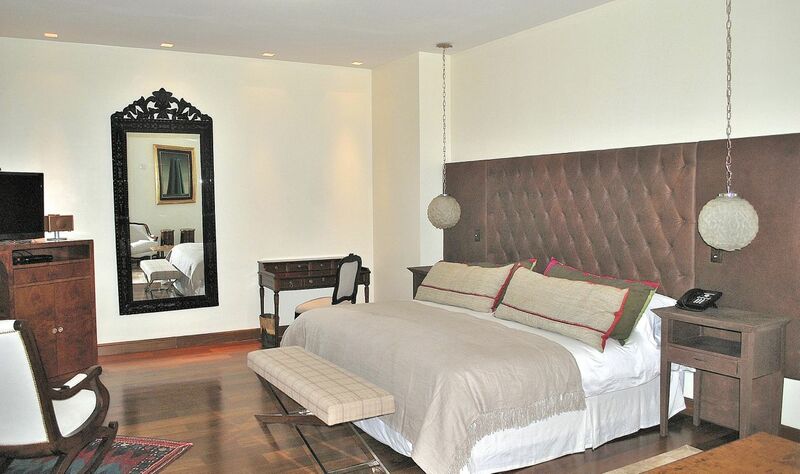 So long as I have a good firm bed and a hot shower, in reasonably quiet surroundings, I’m pretty satisfied. I’ve never been impressed with five-star rankings as such, largely because to my mind they’re pretty meaningless unless you have no intention of ever leaving the building. That attitude dates from my earliest trips to Latin America, in the mid-1970s. Before then, I had visited Mexico several times, but really only the borderlands, and had never quite placed the country and the region in any conceptual framework. It was in San Cristóbal de Las Casas, in the state of Chiapas, that I first really appreciated the contrast between the smug comfort of the First World and the Spartan utilitarianism of the Third. There, on a truly shoestring budget, I stayed in a six-bed dormitorio with five other gringos for five pesos each - at that time about US$0.40 per night. On one particularly dark and drizzly day, most of us remained in the room reading, with the door shut to keep out the cold, and we switched on the light - a 25-watt bulb (approximately four watts per person) hanging from the ceiling. Soon thereafter, the passing owner noticed the faint light escaping the room, opened the door and flipped it off with the admonition that “Electricity is very expensive!” For many years after that moment, I continued to spend much of my travels in what, later, I came to call “George W. Bush rooms” - they all had dim bulbs. Even though, as I’ve gotten older and appreciate greater creature comforts, I can’t resist rating hotels not by stars, but by wattage. That’s why, when I read trade magazines such as Conde Nast Traveler, I still cringe when, in their annual “Hot List” of the world’s best new hotels, they boast that some of them cost less than US$300 per night (in the current issue, that comes to 62 of the 154 mentioned). Still, I always look to see how many hotels appear from my region of choice. This year’s list features just one hotel from Argentina, but four from Chile. 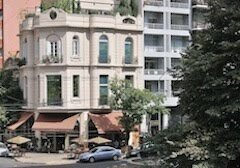 The only Argentine accommodations on the list is Recoleta’s Hub Porteño (pictured at top) which, though I have not stayed there, I did pay a visit in December. This 11-room hotel is little unusual in the sense that it’s an all-inclusive facility; Argentina’s all-inclusive hotels, of course, are more often guest ranches and isolated resorts than urban enclaves. As you might guess from its Francophile look and location (adjacent to the similarly exclusive but substantially larger Park Hyatt Palacio Duhau), it’s not in the “Under US$300” category. 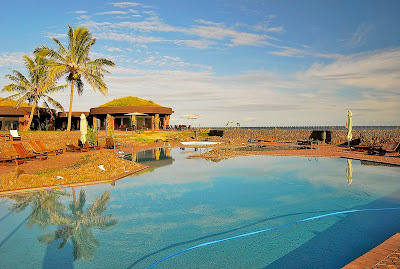 In Chile, I have in fact stayed at Hangaroa Eco Village & Spa (pictured above) which, however, was in marcha blanca (roughly translatable as “soft launch”) when I last visited Easter Island a year ago. 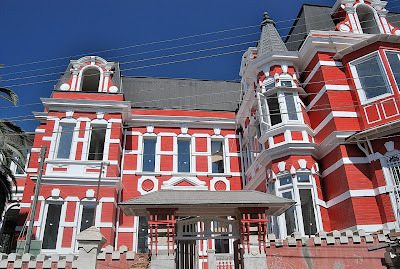 Unfortunately, when I visited Valparaíso in the same month, the recycled Victorian Hotel Palacio Astoreca (pictured below) was still undergoing its transformation from a crumbling Cerro Alegre mansion to an elegant new boutique hotel. It’s one I would be curious about staying at and, astonishingly, it still falls into Condé Nast’s “budget” category (which the Hangaroa most assuredly does not). 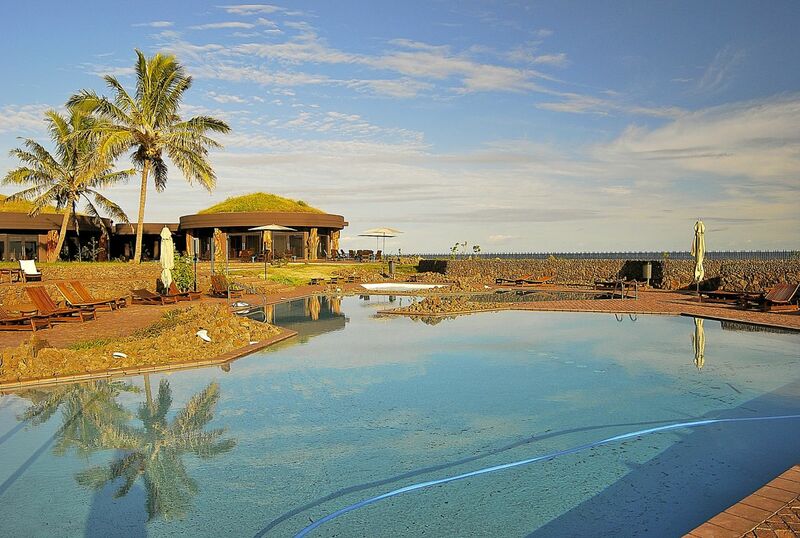 One of the Chilean entries is the Hotel Surazo, a modern seaside hotel in the central coast town of Matanzas which, prior to its listing, I had never even heard of. 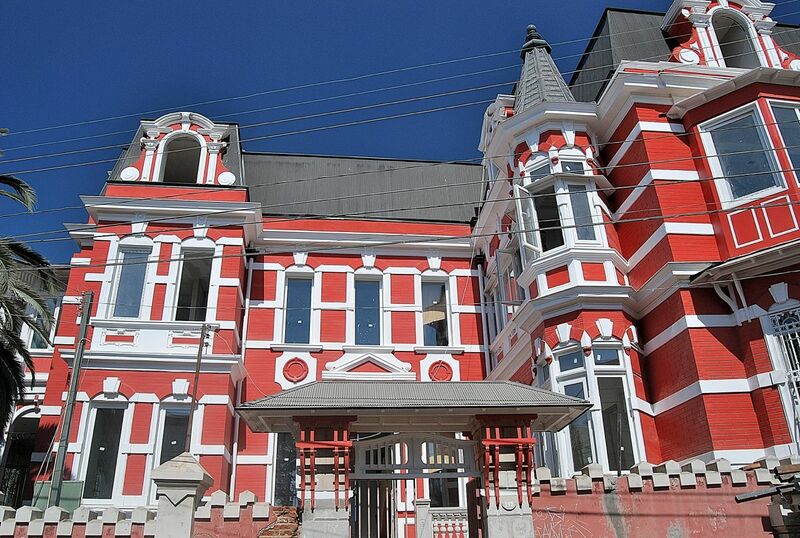 There is also the all-inclusive Hotel Refugia which, apparently, hopes to turn the city of Castro in a luxury gateway to the Chiloé archipelago. I can’t give any of these star classifications, but they’re all upwards of 100 watts. On the Road...or on the Screen? It’s been a slow week as, recovering from my bicycle accident, I can’t sit at the desk more than a few minutes at a time before my broken ribs start aching. Nevertheless, I did manage to get out on Saturday to see On the Road, the Kerouac saga that’s recently been adapted to the screen after being filmed, in part, in Argentina. Having grown up after the Beats, I certainly read On the Road, but I can’t compare my own experiences with the flamboyant Bohemianism of Sal Paradise (Kerouac’s fictional persona), his friend and idol Jack Cassady (“Dean Moriarty” in the book and film), Allen Ginsberg (“Carlo Marx”), and William Burroughs (“Old Bull Lee,” played by honorary Argentine Viggo Mortensen, who grew up on the Pampas). 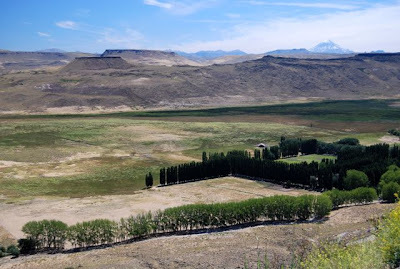 Partly, in seeing the film, I was hoping to be able to identify specific Argentine landscapes that so closely resemble parts of the western United States (such as the steppe of Neuquén province, in the photograph above). Brazilian director Walter Salles, though, was astute enough not to leave any obvious clues, especially given his experience in filming the Che Guevara epic The Motorcycle Diaries a few years ago. 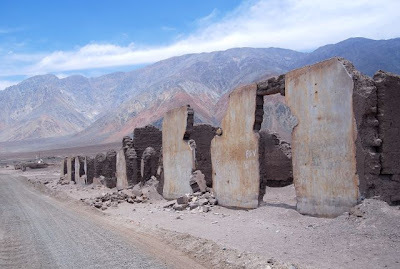 Argentina, though, has its own history of road movies. I don’t pretend to have an encyclopedic knowledge of the country’s cinema, but there are a couple Patagonian road movies that, in addition to The Motorcycle Diaries, I would recommend. The first is director Carlos Sorín’s Historias Mínimas (Intimate Stories, 2002), three intertwined tales set in the coastal city of Puerto San Julián, in Patagonia’s Santa Cruz province. It’s more a slice-of-life film, available streaming on Netflix in the United States. The second, director Marcelo Piñeyro’s Caballos Salvajes (Wild Horses, 1995) is a Robin Hood/Bonnie and Clyde bank-robber caper that begins in Buenos Aires but ends in the robbers’ fleeing to Patagonia to avoid both the police and the Mafia. It features two of Argentina’s finest actors, Héctor Alterio and Federico Luppi; while not apparently available on streaming video, it’s worth seeking out on DVD. On Saturday, I did a short radio interview on off-season travel to Chilean Patagonia for Rudy Maxa’s World, a syndicated travel program that is now available on streaming audio at the link indicated. Also, for anyone planning travel to Chile this fall (southern spring), I will be serving as a guest lecturer aboard the Navimag ferry shuttle between Puerto Montt and Puerto Natales between November 11 and 18. 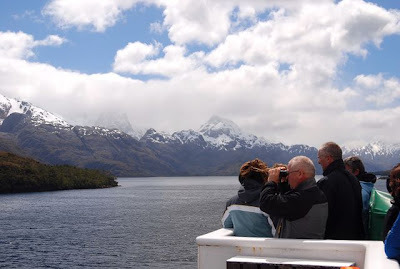 This covers the southbound segment to Natales and, after a day in port, the northbound return to Puerto Montt. If all goes well, we may do an encore in March. The Heritage of Brutalism, the Movies and "I Spy?" There are many things going on in Argentina this week, what with the aftermath of floods in the city and province of Buenos Aires, but I’d sooner take note of someone who left a lasting imprint on the urban landscape. 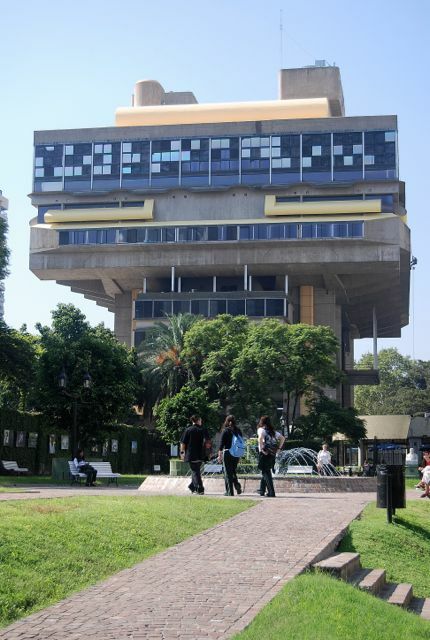 The Italian-born architect Clorindo Testa, who died Thursday at the age of 89, was responsible for two landmark “brutalist” buildings in Buenos Aires: the downtown financial district’s Banco de Londres (pictured above, now under different ownership) and the Biblioteca Nacional (below), which uprooted the Palacio Unzué (the former presidential palace) under the military dictatorship of 1976-83. 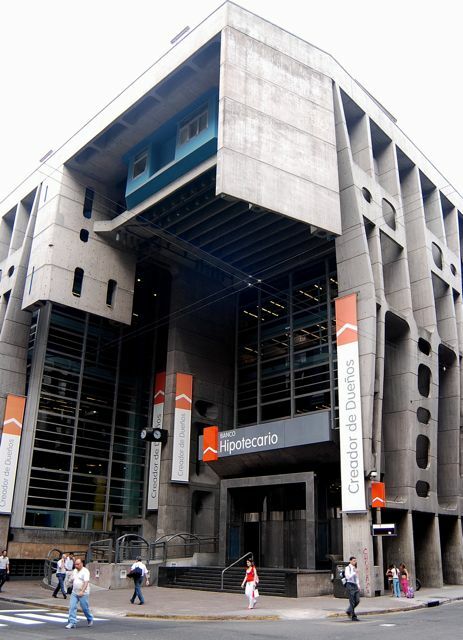 Testa's buildings are not for everybody but, having lived most of my life in earthquake country, I'm impressed by someone who can design a structure like the Banco de Londres that, seemingly, defies gravity and seismicity (which, fortunately, is not a big concern in most of Argentina). Both, apparently, are unaffected by the floods. Meanwhile, this is the first weekend of the annual Buenos Aires Festival Internacional de Cine Independiente (BAFICI, Buenos Aires International Festival of Independent Cinema), which showcases independent movies from around the world at various locations throughout the city. Prices are low – some events are even free – with something to appeal to almost everybody’s tastes. 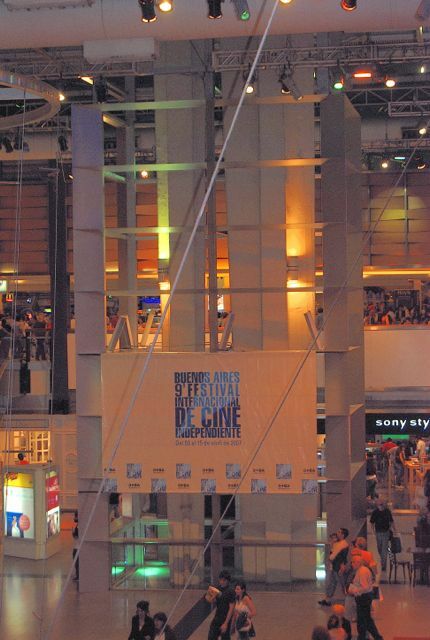 The photograph above comes from the 2007 event, at the Mercado de Abasto, one of the festival's main sites. 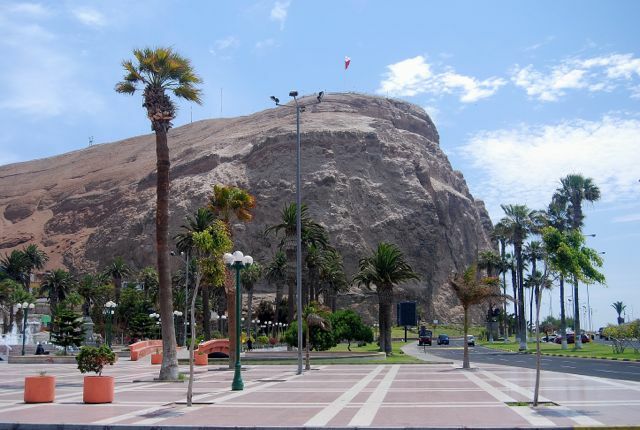 In more than two decades of travel throughout the Southern Cone countries, I have occasionally earned criticism for my judgments on destinations, hotels, restaurants and other services about which I have written. Never before, though, has anybody questioned my ability to review a book because I was, presumably, engaged in espionage. That, however, appears to be the Ernesto Benadet’s conclusion after reading my review of Graham Bound’s Fortress Falklands. Interestingly, in asserting that my review tells him nothing he did not already know, Señor Benadet apparently disagrees with the Argentine Foreign Ministry’s conclusion that the Islanders are not a people. Somehow, Señor Benadet assumes that I approved of – and perhaps contributed to - George W. Bush’s inept invasion of Iraq. In reality, the US invasion was as much in its national interest as the invasion of the Islands was in Argentina’s – that is to say, not at all. Both invasions were disastrous. Señor Benadet claims to know who I really am. I’m not sure who he really is, but I can speculate that he might become Spinal Tap’s next drummer – they don’t turn it up to 11, but there is precedent for their expiring by spontaneous combustion. On the next tour, we may see him on stage in a flame-retardant jumpsuit. Earlier this morning, I appeared on Rudy Maxa's World, a radio program dedicated to global travel, to talk about Chilean Patagonia and specifically the Carretera Austral. On Monday, the entire program will be available as a podcast at the link indicated here.